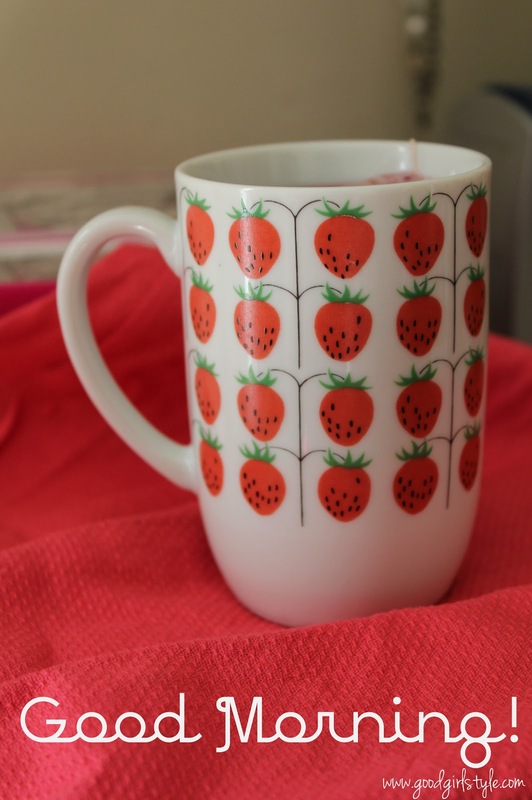 Who has the cutest new mug on the block? This girl! Hehe. Love my new strawberry mug, so summer-y! This morning, I'm drinking Tazo "Passion" tea. It has been a very busy week here, how about you? I can hardly believe it's Friday already! Feels like the pace of life is picking up again, and I suppose I can't complain. It's good to have down-times and it's good to have busy-times.